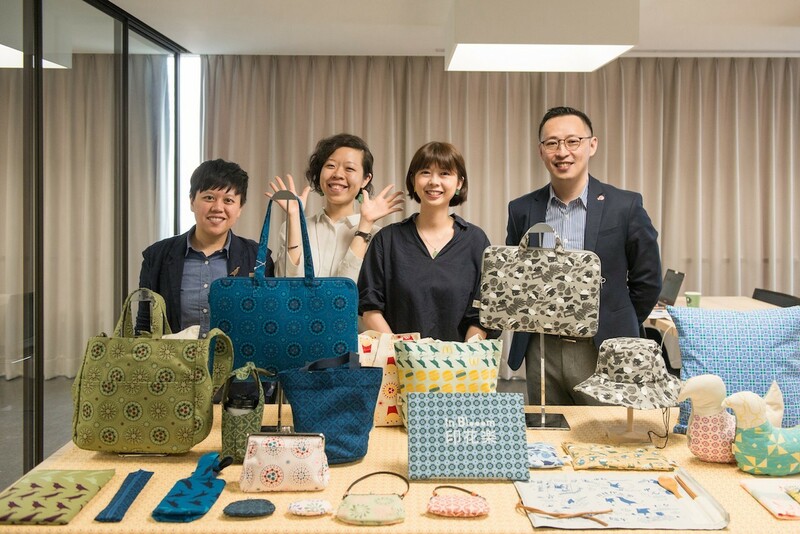 Pinkoi, a Taiwanese e-commerce platform for trading goods with original designs, has created a joint venture with Cherubic Ventures, a technology-focused venture capital firm, which will foster Asia’s creative industries and help local designers reach global markets. The Taipei-based e-commerce platform announced in mid-April that Taiwanese printed fabric designer InBlooom would be the first company to receive investment. Pinkoi executives would not disclose the amount. Overall, the new joint venture will be investing in more than ten brands within two years, said Peter Yen, the co-founder of Pinkoi, which has 2.7 million online members who buy items such as unique gifts, clothing and furniture on the platform. “I have seen many talented designers, but they don’t know how to reach global markets,” Yen said, noting that usually only 1% of brands end up retaining a long-term presence overseas. “Therefore, Pinkoi has formed a team to help designers with issues such as how to take attractive photos of their products or how to communicate with customers,” Yen said. Cherubic Ventures, which was founded in 2013 and is based in Silicon Valley and Greater China, is focused on early-stage technology. The company has acted as an angel investor for many Taiwanese startups. “We are happy to do this joint venture together to better the creative industry ecosystem across Asia, said Tina Cheng from Cherubic Ventures at the press conference. “I am also a big fan of Pinkoi since, as a buyer, I can discover different original design products overseas, such as in Thailand, Malaysia and Japan, on the platform. “Meanwhile, Taiwanese designers’ brands can also be purchased through Pinkoi, allowing them to gain more global visibility. “ Tina Cheng from Cherubic Venture, said. Since its inception in 2011, Pinkoi has expanded to have a presence in 93 countries, selling more than 13,000 foreign-branded goods. To strengthen its foothold in global markets, Pinkoi in 2016 acquired Japanese designer ecommerce platform iichi, giving the Taiwanese company access to the Japanese companies’ pool of designers.